The poems and short prose in Catherine Arra’s Writing in the Ether were born from the connective tissue of memory, the bones of the past, and the spirit that insists not only upon seeing and remembering, but upon reconciling “the holy and the unholy” to embrace what is. Here is a story of a girl growing up in the 1960s with a mysteriously elusive mother, a second-generation immigrant father, and her immigrant grandparents living next door. At the center of the collection is a desire to reach back for clarity and continuity that becomes, in itself, an act of writing in the ether. want to smoke after this long time away. smell your skin, shampoo, interlock fingers. Catherine Arra is a former high school English and writing teacher. Since leaving the classroom in 2012, her poetry and prose have appeared in numerous literary journals online and in print, and in several anthologies. She is the author of three chapbooks, Slamming & Splitting (Red Ochre Press, 2014), Loving from the Backbone (Flutter Press, 2015), and Tales of Intrigue & Plumage (FutureCycle Press, 2017). Writing in the Ether is her first full-length collection. 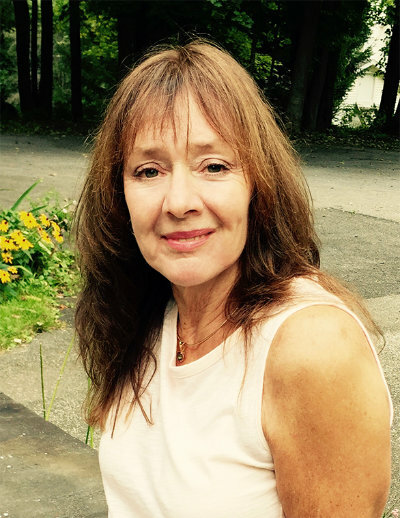 Arra is a native of the Hudson Valley in upstate New York, where she lives most of the year, teaches part-time, and facilitates local writing groups. In winters she migrates to the Space Coast of Florida.